Post Your Memories of Robert Ealey Here! 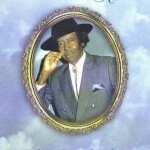 This is a memorial page for Robert Ealey, a blues singer based in Fort Worth Texas, 12/6/1925 – 3/8/2001. Robert was well known and loved by the blues community and music community in general. His Lost Tapes can be heard here. If you buy the remastered CD of Robert Ealey’s Lost Tapes, we will email you the MP3 versions, also fully remastered, for your phone and computer. We welcome your memories, please post your words and photos in our MEMORIES section here at RobertEaley.com. We also can be found on Twitter, Pinterest & Facebook, just search on Robert Ealey there.